I've seen so many wonderful reviews for this blush, and I'm happily joining in the ruckus. First, I'd love to comment on the cheap price- $3 like the rest of e.l.f. 's studio line. What a great deal! 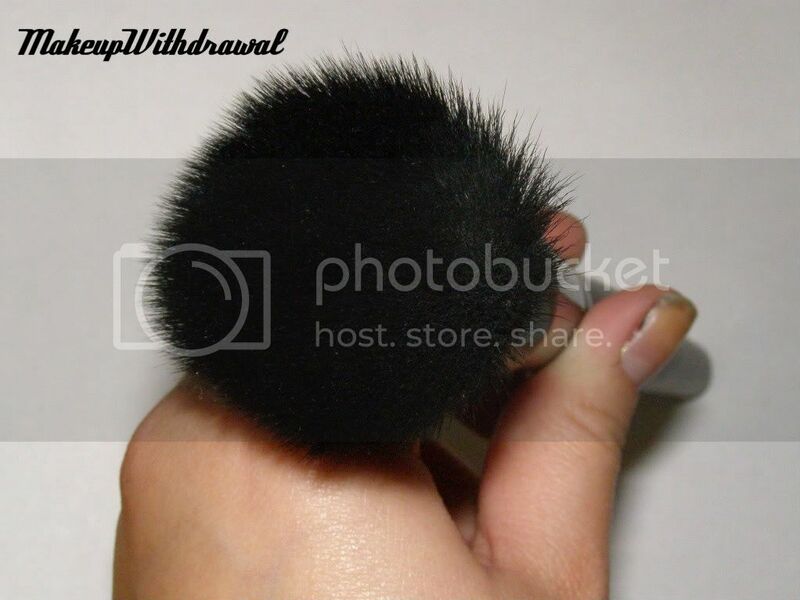 Where else are you going to find a brush this inexpensive? It's got a nice solid feeling black handle, black metal ferrule and dense synthetic black bristles that have a flat cut across the top. When I say dense, I really mean "holy freaking crap dense", more so than any other brush I own. Now, I want to briefly talk about how I usually apply foundation. Most of the time I reach for a skunk brush, whether it be my Studio Tools duo fiber brush, Sonia Kashuk Highlighting brush or even my Etude House or MAC 188 brushes (the last two being less frequent because they're smaller and take longer to apply foundation). Usually I use one pump of foundation on a clean glass surface and start stippling from the area I need coverage the most (cheeks and nose) and a quick sheer application on areas like my chin and forehead, just so that my face has the same finish all around. I don't swirl it to blend it together, 'cause I feel like that ruins the finish and also messes up the much needed coverage on my cheeks (lots of acne scarring *sad face*). Gah, that wasn't brief at all. Well the point is, with the e.l.f. brush, I actually like the buffing motion at the end. Because the bristles are so incredibly soft and dense, it doesn't pull on the surface of my skin too much, causing neither 'pilling' (you know, where your foundation kind of balls up on the surface and is all gross looking) nor streaks. In fact it gives a sort of even soft airbrushed finish for me! The only downside that I can think of with this brush is that because the hairs are packed together like chickens in a chicken factory (that simile made you sad, didn't it? Sure as hell made me depressed. I'll brainstorm happier similes like "a box of baby penguins" and so forth in my free time so that it doesn't happen again, I promise) that liquid foundation does tend to get really worked deep into the brush and it takes oh, an extra 25 seconds to deep clean it. I've been using it for about a month now, and despite many repeated washings, no shedding, bleeding or any other form of brush problems. Also, you don't have to use this for liquid foundation, you could also use it for face powders. 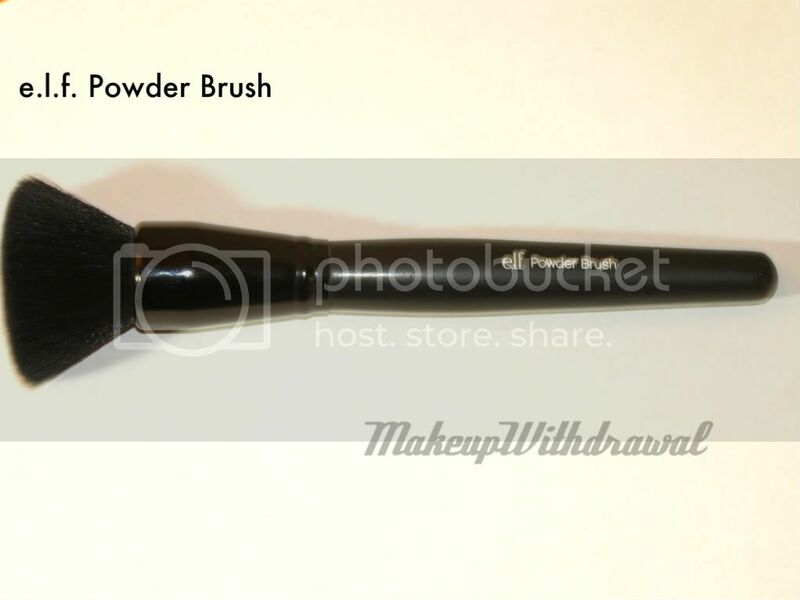 The nice thing about it is that due to it's flat top, you can get a nice even application of powder without a forming a big cloud of dust (you know, as you would normally swirl a big, fat, curved powder brush to get powder even on the entire brush). Basically, you can't lose with this one, especially not to try out at $3. Special thanks to my friend Mae for giving me this brush so that I might try out its amazing properties!